Cobb, Irving S. Speaking of Operations. New York. George H. Doran. 1915. Octavo. Decorated hard cover. First edition. Illustrated. Fine copy. Codrescu, Andrei. It Was Today. New Poems. Photo available. Minneapolis. Coffee House Press. 2003. Octavo. Soft cover. First edition. Fine copy. Cole, Eddie-Lou. Pinions to the Sun. Inscribed by the author. Sacramento. Portfolio Poets Press. 1963. Octavo. Soft cover. First edition. Inscribed by the author. Fine copy. Cole, Eddie-Lou. Top 25 Poems in Special Poetry Contest. Plus Complete Winner's List. Sacramento. World of Poetry Press. nd. 14 pps. Octavo. Soft cover. First edition. Very good copy. One page edge torn, partially through poem. Colette. The Collected Stories of Collette. New York. Farrar, Straus and Giroux. 1984. Octavo. Soft cover. Reprint. Near fine copy (very light shelf wear). Colfer, Eoin. Artemis Fowl. The Arctic Incident. (THIS IS NOT THE 3 VOL. SET). New York. Scholastic. 2002. Octavo. Soft cover. Fine copy. Colfer, Eoin. Artemis Fowl. The Eternity Code. (THIS IS NOT THE 3 VOL. SET). New York. Hyperion. 2003. Octavo. Hard cover. First edition. Fine copy in fine dust jacket (in mylar). Collins, Jackie. Hollywood Kids. New York. Simon & Schuster. 1994. 525 pps. Octavo. Hardcover. First edition. Fine copy in near fine dust jacket (in mylar). Collins, Wilkie. The Woman in White. New York. Modern Library. 2002. 665 pps. Octavo. Soft cover. Reprint. Near fine copy. Very light wear. Condon, Richard. The Entwining. New York. Richard Marek Pub. 1980. 275 pps. Octavo. Hardcover. First edition. Fine copy in fine dust jacket (mylar). Congreve, William. Love for Love. New York. Charles Scribners & Sons. 1940. 88 pps. Octavo. Decorated hard cover. First edition thus. Fine copy. Conn, Peter. 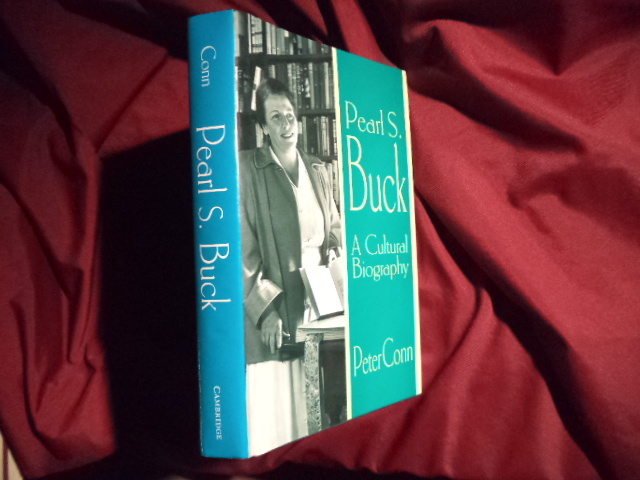 Pearl S. Buck. A Cultural Biography. Photo available. Cambridge. Cambridge University Press. 1996. 468 pps. Octavo. Hardcover. Stated first edition. Illustrated. Important reference work. Fine copy in fine dust jacket (in mylar). Connell, Evan S. Deus lo Volt! Chronicle of the Crusades. Washington. Counterpoint. 2000. 462 pps. Octavo. Hardcover. First edition. Fine copy (remainder mark on bottom edge) in fine dust jacket (in mylar). Connell, Evan. Mrs. Bridge. San Francisco. North Point Press. 1981. 246 pps. Octavo. Soft cover. Reprint. Fine copy. Connery, Tom. A Shred of Honour. 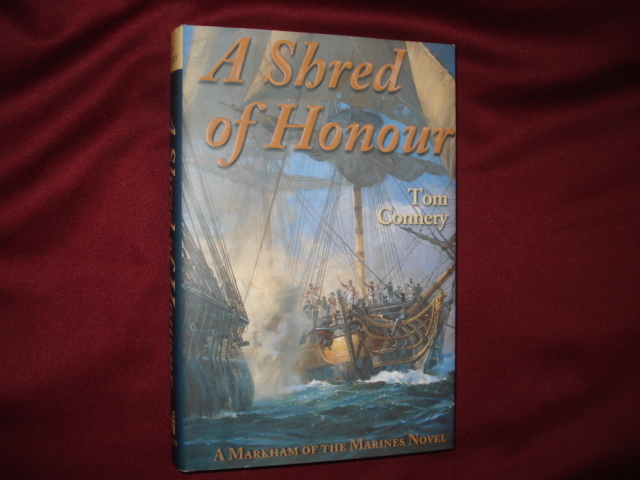 A Markham of the Marines Novel. Photo available. Washington. Regnery. 1999. Octavo. Hard cover. First edition. Fine copy in fine dust jacket (in mylar). Conrad, Joseph & Samuel Hynes (ed). The Collected Stories of Joseph Conrad. Photo available. Hopewell. Ecco Press. 1991. Octavo. Soft cover. First edition thus. Near fine copy (very light shelf wear). Conrad, Joseph. Lord Jim. New York. W.W. Norton. 1968. 486 pps. Octavo. Soft cover. Reprint. Fine copy (very light wear). Conrad, Joseph. Lord Jim. London. Penguin Classics. 1986. Octavo. Soft cover. Reprint. Near fine copy (some owner notes and underlining). Conrad, Joseph. Lord Jim. London. Pan. 1978. Octavo. Soft cover. Near fine copy (very light shelf wear). Conrad, Joseph. Nostromo. London. Penguin Classics. 1986. Octavo. Soft cover. Reprint. Near fine copy (some owner notes, underscoring). Conrad, Joseph. The Secret Agent. London. Penguin Classics. 1986. Octavo. Soft cover. Reprint. Near fine copy (some owner notes, underlining). Conrad, Joseph. The Secret Agent. London. Penguin. 1994. Octavo. Soft cover. Reprint. Fine copy. Conroy, Pat. The Water is Wide. New York. Bantam. 1994. Octavo. Soft cover. Reprint. Near fine copy (very light shelf wear). Coonts, Stephen. Flight of the Intruder. Annapolis. Naval Institute Press. 1986. 329 pps. Octavo. Hard cover. First edition. Fine copy (owner name on title page) in fine dust jacket (in mylar).